RIM has announced the arrival of the BlackBerry Style which heralds a new look for the smartphone maker. 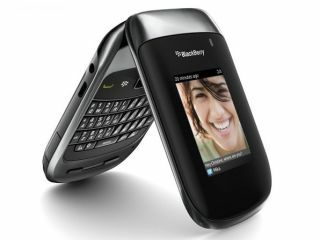 The BlackBerry Style 9670 is a flipout phone with a full QWERTY keyboard. It is one of the first BlackBerrys to arrive sporting the BlackBerry 6 OS and has so far only been officially announced in the US, with Sprint exclusivity. According to BlackBerry, the clamshell shape of the device makes it "extremely easy to use for calls, and with a full QWERTY keyboard, it provides the same attractive features enthusiasts have come to expect from their smartphone." Phew, we are glad that the BlackBerry Style makes phoning people easy - given that it is a phone. Also on board is an optical trackpad, a 5MP camera with flash and support for video recording, built-in GPS, Wi-Fi and expandable memory up to 32GB. The BlackBerry Style 9670 is out in the US 31 October, with UK release date details still to be announced.